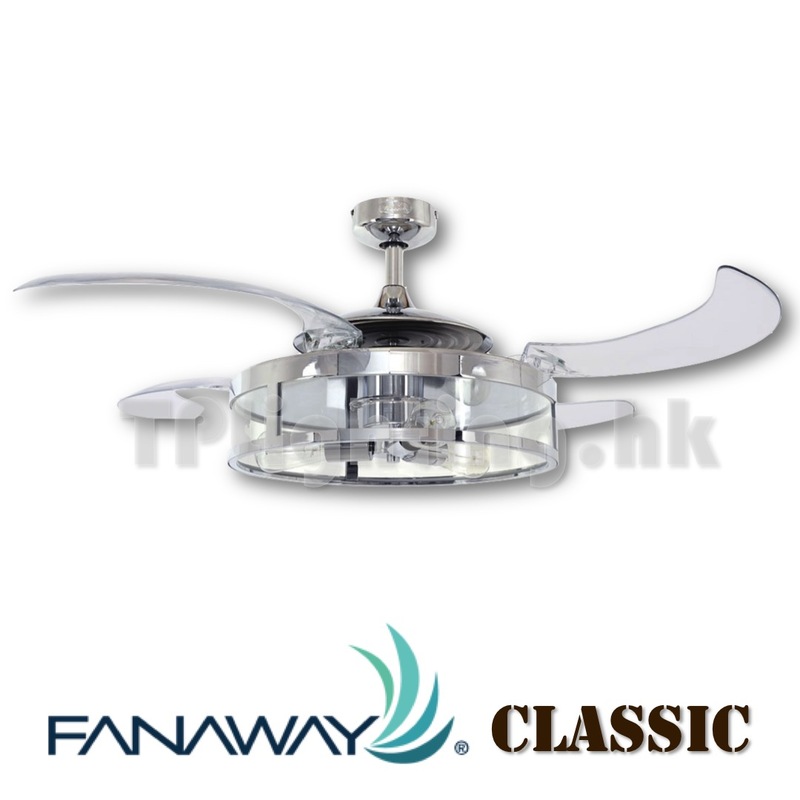 Fanaway Classic from FANAWAY® is an advanced ceiling fan with unique aesthetics and energy efficient design. 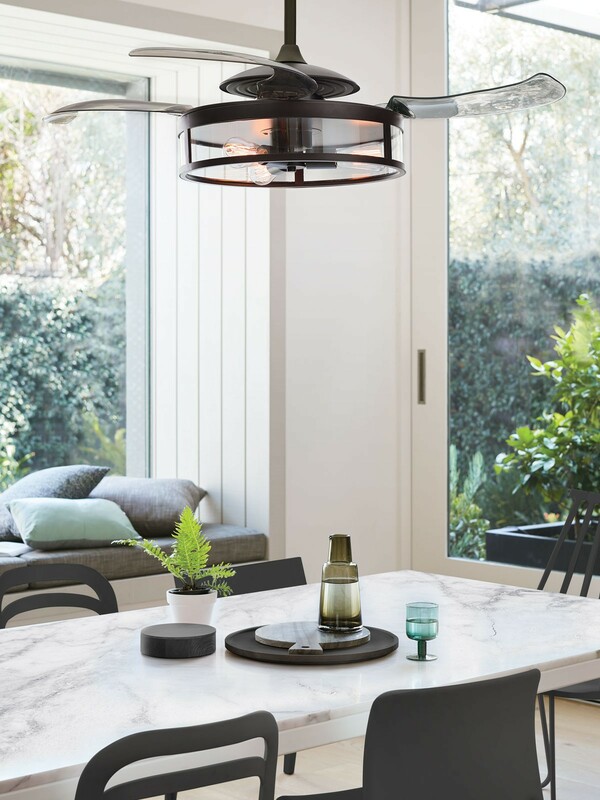 Switched off,the traditionally intrusive fan blades automatically retract and conceal,and visually the unit transforms into a slim,modern light pendant. Turning the fan on creates a centrifugal force which deploys the blades to circulate air within a room. 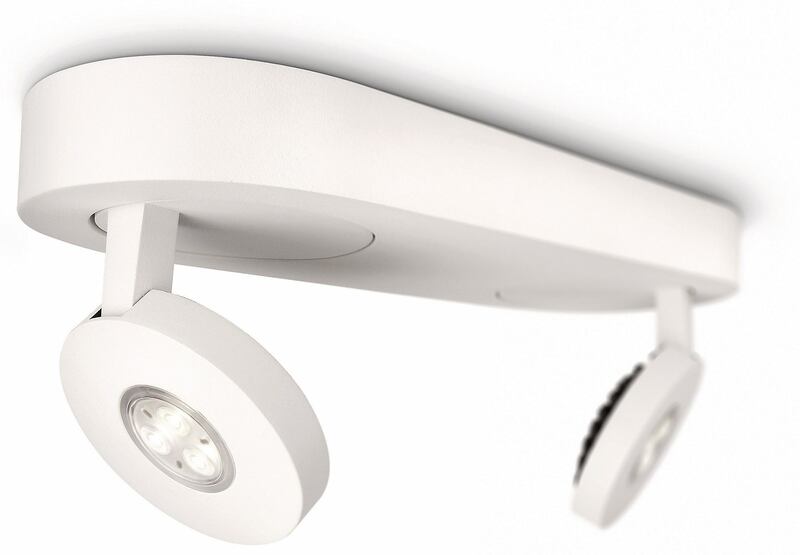 It creates open space in the room environment,accumulates less dust,and is unobtrusive and versatile to visually integrate into most building interiors. 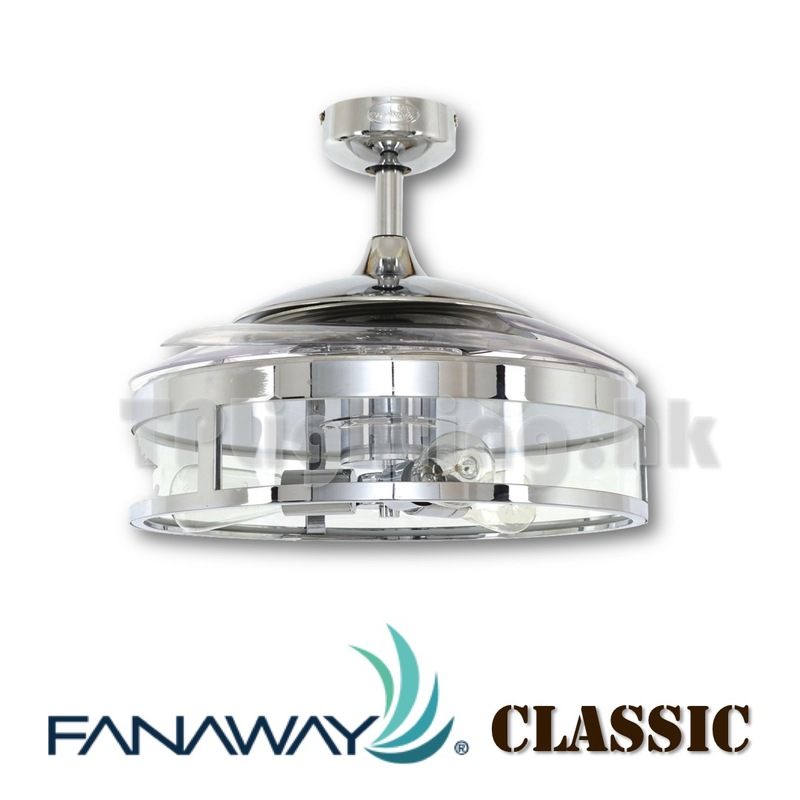 The Fanaway Classic takes it influence from Hamptons and Industrial styling, with its exposed globe design making something that is really unique. The star of this Fanaway design is the light that features 3 lamp holders, which enhance every ounce of its vintage charm. 編號: 2886. 類別： 40" -48" 風扇燈 Ceiling Fan. 標籤： 最新燈飾 Latest Products, 熱賣燈飾 Hot Items.